Kyra and David Winters love their son Michael more than anything in the world. They had not planned on having children and could hardly believe how lucky they were. They were happy! Surely something was bound to happen. In their eyes, the world was a dangerous place and above all they had to protect Michael. When Michael was only two he had become very sick and was taken to the hospital. Ever since, Kyra was quick to pull out the thermometer any time Michael seemed a little off and although Michael was old enough to be in kindergarten the baby monitor remained turned on in his room. Concerned that Michael was being bullied at school, they pulled him out. After trying three other schools they decided that Michael “could not learn in such an environment” and decided to home school him. The one time Kyra and David let their guard down and actually let him play in the yard alone for a short time, the unthinkable happened. Michael disappeared. Someone had taken him, and all evidence pointed to the fact that it was someone they knew. Someone from their past. Both David and Kyra had secrets. Things that had haunted them for years. Although Kyra knew that David had been married before to a woman named Courtney and had lost a child, there was so much that David could not or would not share with her. Could Courtney have taken Michael? David certainly thought that she was unstable enough to do such a thing. And then there was Kyra’s estranged sister Amy. Kyra still harboured guilt over what had happened between them so many years ago. What if Amy had taken Michael? 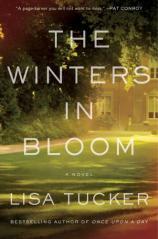 The Winters in Bloom alternates back and forth between the past and the present and is told from the perspective of the many different characters. Both Michael and Kyra are forced to face their troubled pasts in hopes of finding their son. Secrets are revealed. Will they find Michael? Will their lives ever be the same again? The Winters in Bloom is a quick read full of surprises.